This promises to be an amazing week, with the usual La Fuente attractions of great food, great company, and the lovely Andalusian countryside, and we will be offering our most extensive list of class option ever! The classes will be a little broader in scope than they are in Old-Time weeks. We will offer our familiar selection of fiddle, banjo, guitar, ukulele and old-time duet singing. Additionally, classes will be held in blues banjo, blues guitar, blues singing, harmonic, and individual singing. This is an exciting opportunity to work intimately with Beverly Smith, one of the most respected old-time musicians on the scene today. 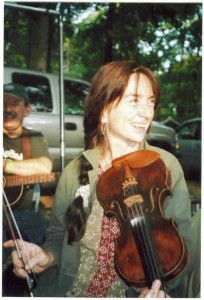 Beverly is well known as a guitarist, fiddler, mandolin player and singer who has had a long career working with an extensive array of the best and most creative of contemporary old-time artists and string bands. Her collaborations include backing up fiddlers Bruce Molsky, Rafe Stefanini, Tara Nevins and Brad Leftwich, singing with Irish musicians Mick Moloney and John Doyle, and with bluegrass great Laurie Lewis, and performing in a duet with Alice Gerrard. 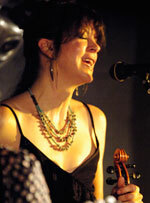 She achieved international regard as a part of a highly acclaimed old-time music duet act with Carl Jones. In addition to her extensive ensemble work, she now performs as a solo artist, and has begun bringing her original songs to her performance repertoire. Beverly’s teaching style is extremely generous and easy-going, and she has developed very effective ways of communicating skills and techniques that make the music accessible to everyone. 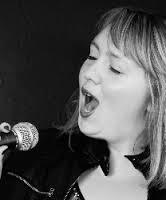 Katie Bradley is an award-winning blues singer, songwriter and harmonica player who graces the London blues scene and was named ‘Songwriter of the Year’ at last year’s British Blues Awards. Katie has been collecting rave reviews for her playing and singing since 2012. Katie will likely teach blues song and harmonica. If there is enough interest, a song-writing forum with Sooz Clare may be an option! Also joining the teaching team will be Stu Weetman, a versatile multi-instrumentalist and singer from Reading area, an experienced performer and very friendly, knowledgeable and accessible teacher. 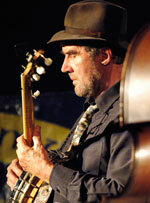 Stu will teach blues banjo and blues guitar. His Blues Banjo class is bound to be fascinating, as he has translated licks and styles from some of the great blues guitarists on to the banjo, to great effect. Stu will also lead a camp jug band, so bring your noisemakers! We’re delighted that Sooz Clare will be with us again, offering her popular ukulele class. Sooz is a fine musician, singer and songwriter. But even more importantly, she turns every group she teaches into a happy family, with lessons that students from any level of ability can enjoy, and lots of laughter and song. 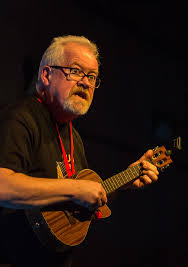 Ukulele group is a life-enhancing experience not to be missed! Depending upon interest, Sooz will also hold a class in Blues Ukulele. Kate Lissauer will teach group duet song with Beverly, and Johnny Whelan will offer individual banjo help, or a class if it is required. As much as possible, we will offer classes in your areas of interest, so be sure to let us know if there is something you want to concentrate on. There will, as always, be ample opportunity for socialising and session-ing. Don’t miss the opportunity to join the La Fuente Jug Band looks likely! Dates for the week will be September 23rd to September 30th, 2017, and the cost will be £595 not including travel, but including everything else you will require–shared all meals, tuition, use of all facilities. A £100 deposit (non returnable) will secure your place on the week.